Hard to believe Memorial Day is behind us. I’m sure for most parents, teachers and others involved in schools that it seems like the school year has flown by. Only about a month to go us here in WNY and then there will only be about 2-3 weeks before “Back To School” stuff starts hitting the stores. The next month is filled with end of the year shows and field days. I’m looking forward to seeing some old friends in Dunkirk, Lancaster and Kenmore just to name a few. It’s a crazy busy month and it won’t be long before I say I can’t believe June is behind us. Recently had a meeting with my friends at Doodlebugs and they continue to AMAZE me! They might be even more excited for the upcoming year’s assembly than me. We’re already working hard to give your child’s school the BEST program that can get. 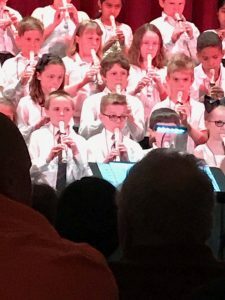 As for the family, Alex is winding down 3rd grade and just had his recorder concert. He did a fantastic job and put everything he had into his performance. The Lancaster School district really does such a great job in their music and arts departments. I am continually impressed every single day. I look forward to what’s in the future for both Alex and ourselves. Oh No… Summer’s almost over!